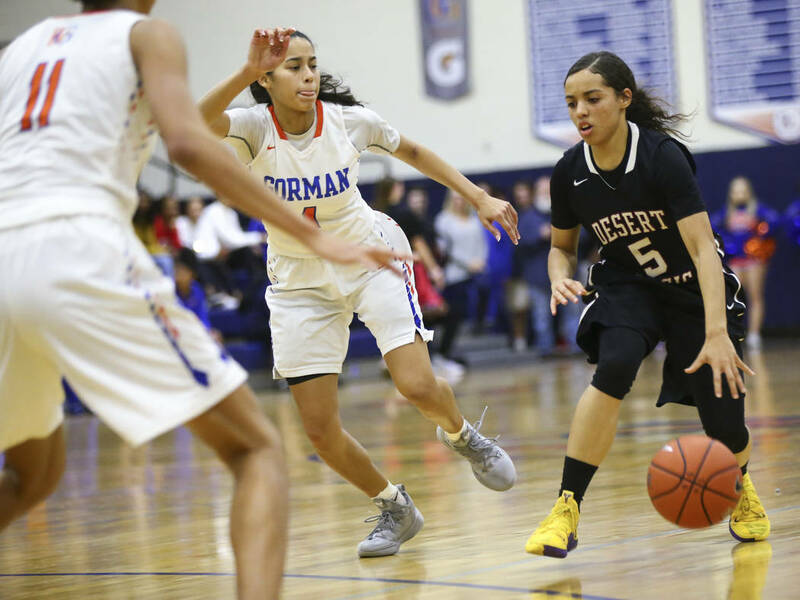 Desert Oasis took advantage of a tightly officiated fourth quarter by converting 9 of 13 free throws to seal a 60-57 road victory over Bishop Gorman and take possession of first place in the Southwest League. 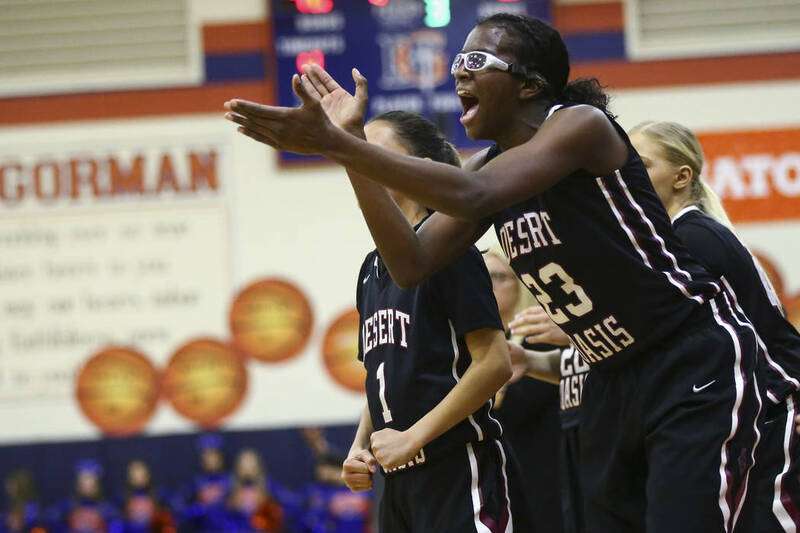 Desert Oasis girls basketball coach Laurie Evans-Gygax insists free-throw shooting isn’t one of her team’s strengths. 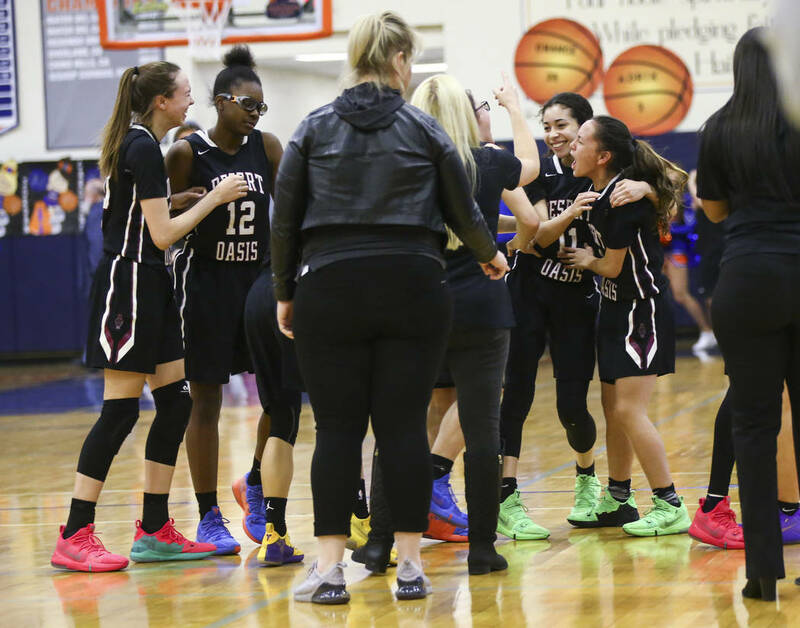 Wouldn’t have known that Friday night. 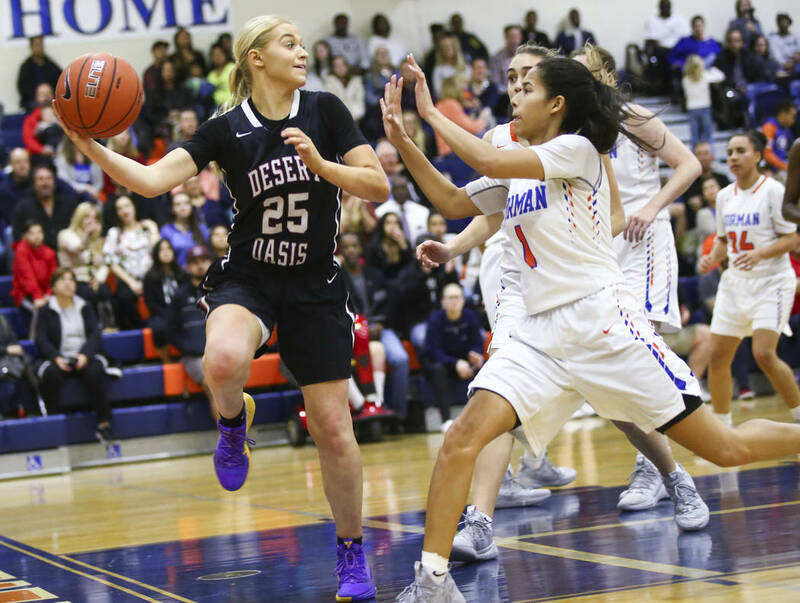 Desert Oasis took advantage of a tightly officiated fourth quarter by converting 9 of 13 free throws to seal a 60-57 road victory over Bishop Gorman and take possession of first place in the Southwest League with two games left. 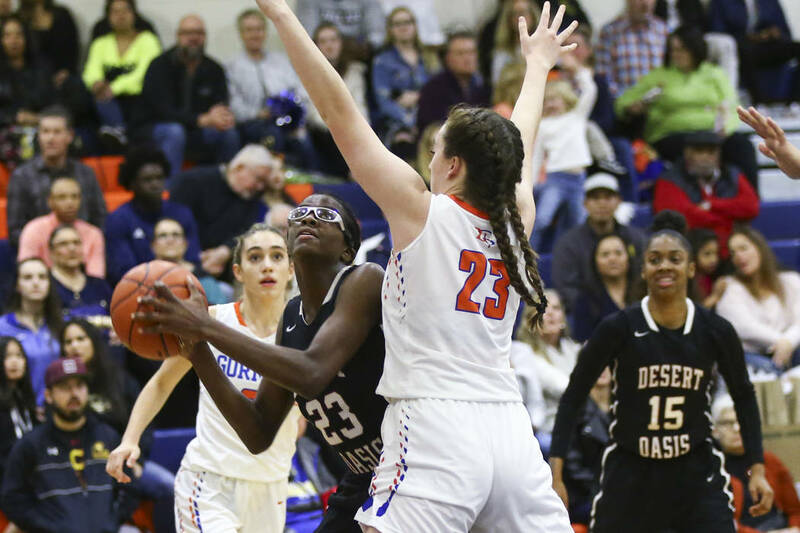 Junior forward Desi-Rae Young scored seven of her game-high 15 in the final period for the Diamondbacks, and junior guard Eliyjah Pricebooks made four 3-pointers en route to 12 points. 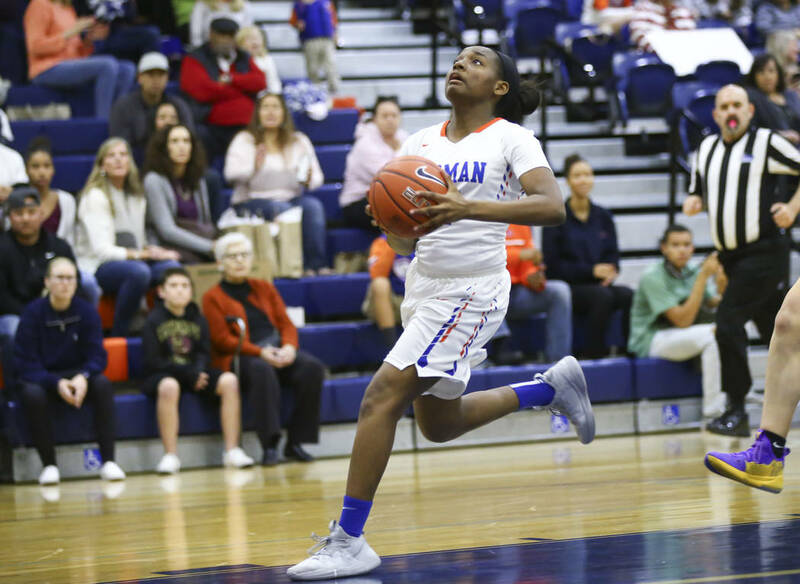 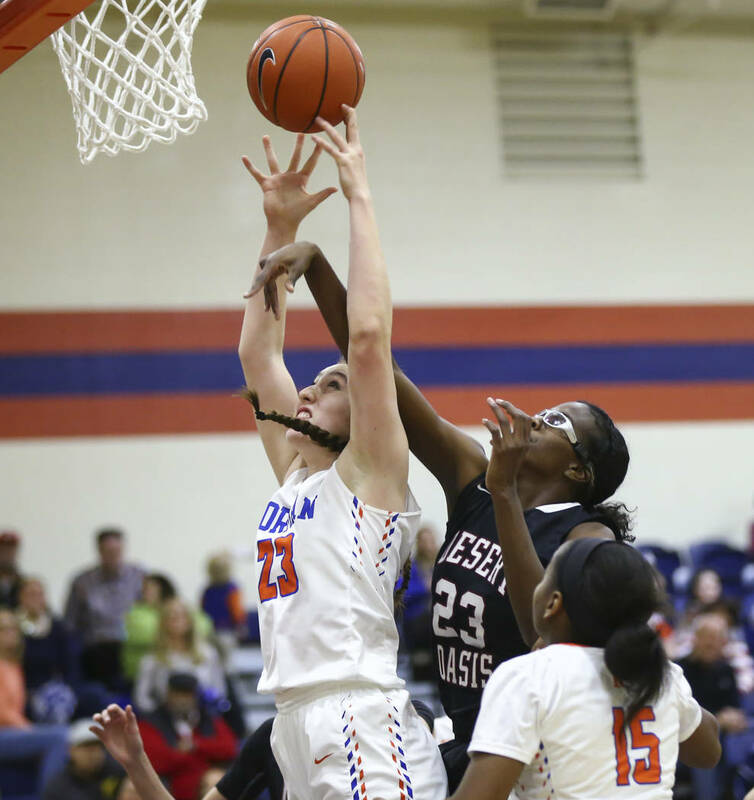 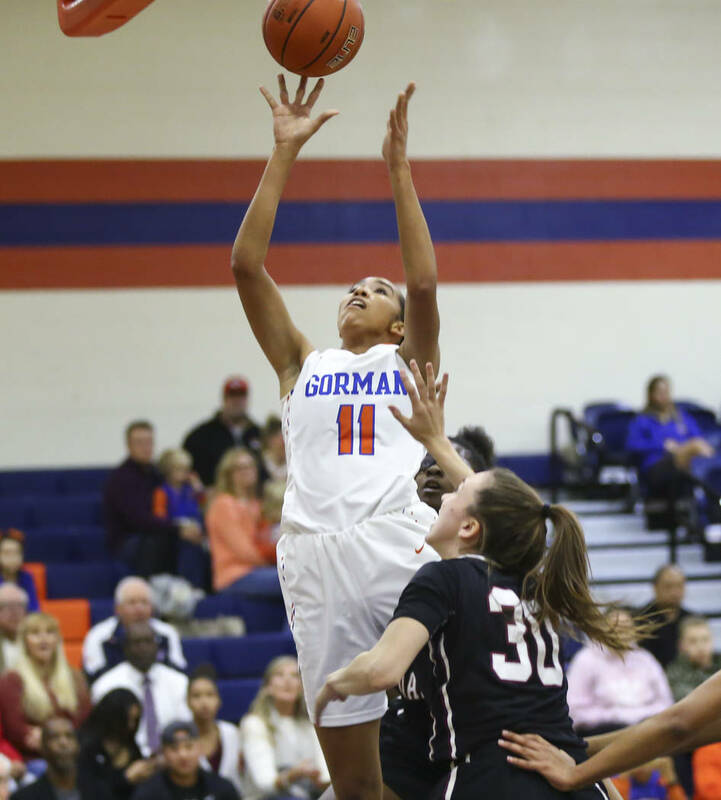 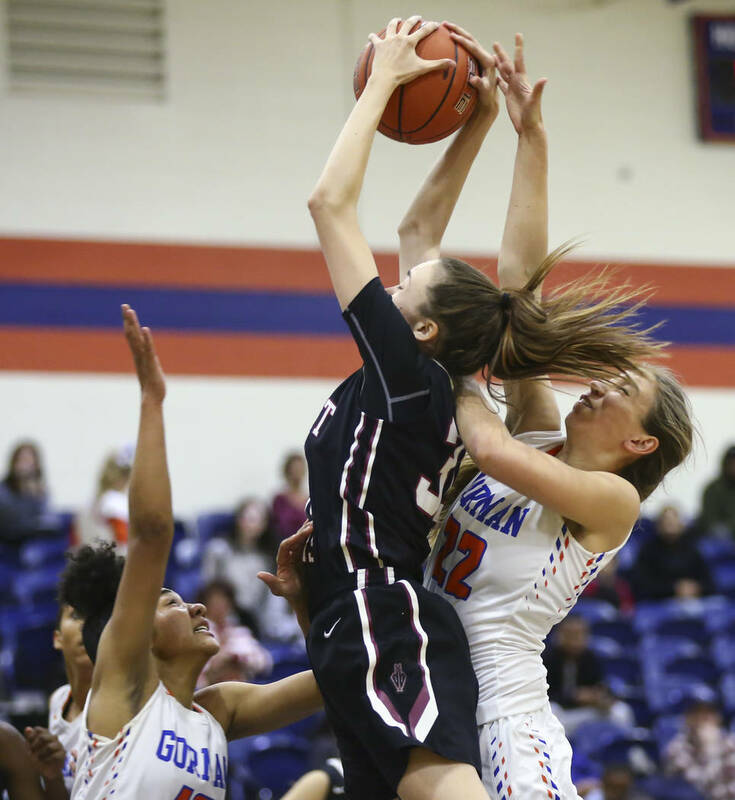 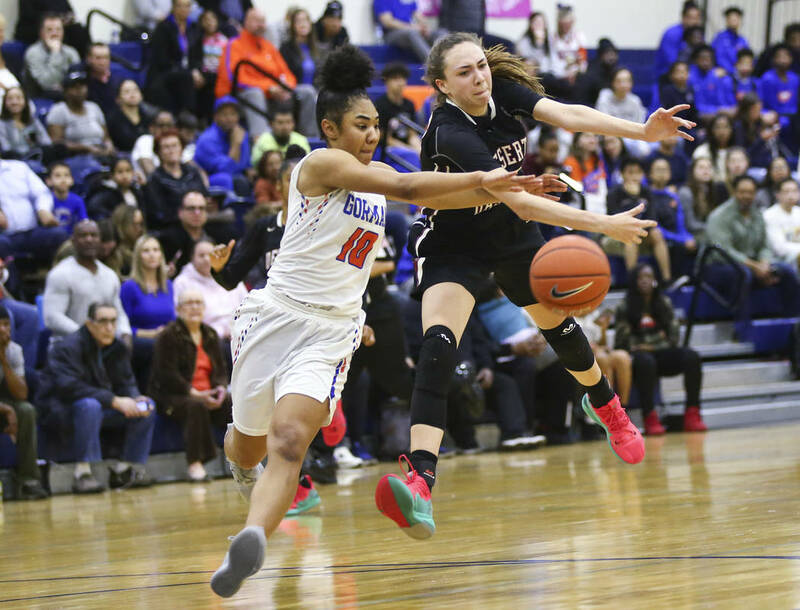 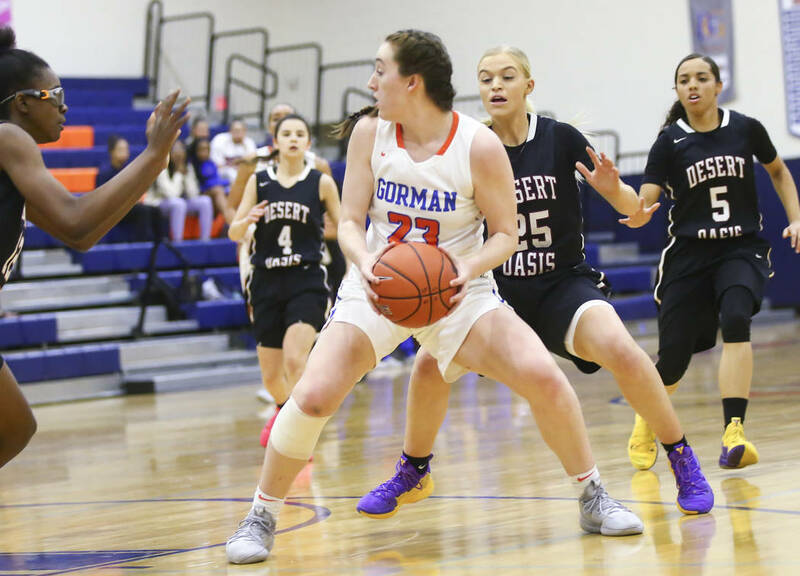 Desert Oasis (16-4, 9-1) and Gorman (15-7, 8-2) were tied for first in the Southwest League, and both teams were aware of the stakes of their showdown. 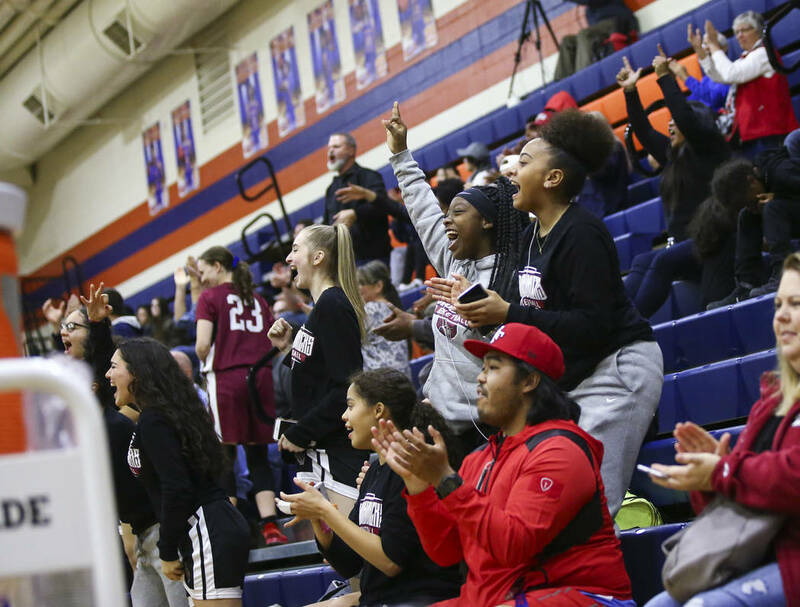 They spent the better part of three quarters trading baskets — and floor burns — before a near-capacity crowd, resulting in a 49-45 lead for the Gaels with eight minutes left. 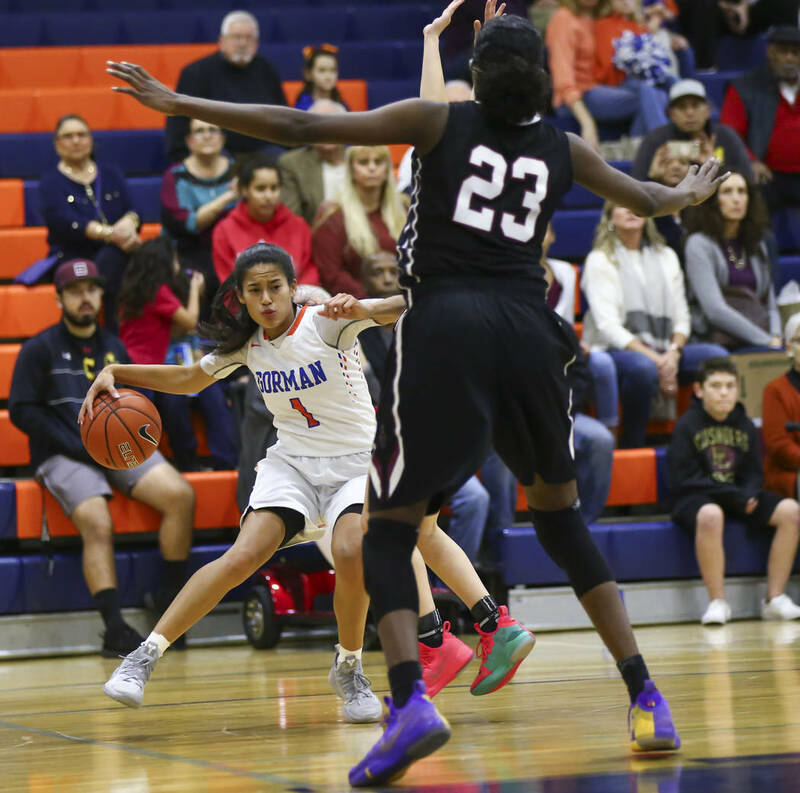 But the Diamondbacks abandoned their zone defensive approach for a pressure man-to-man look to take control. 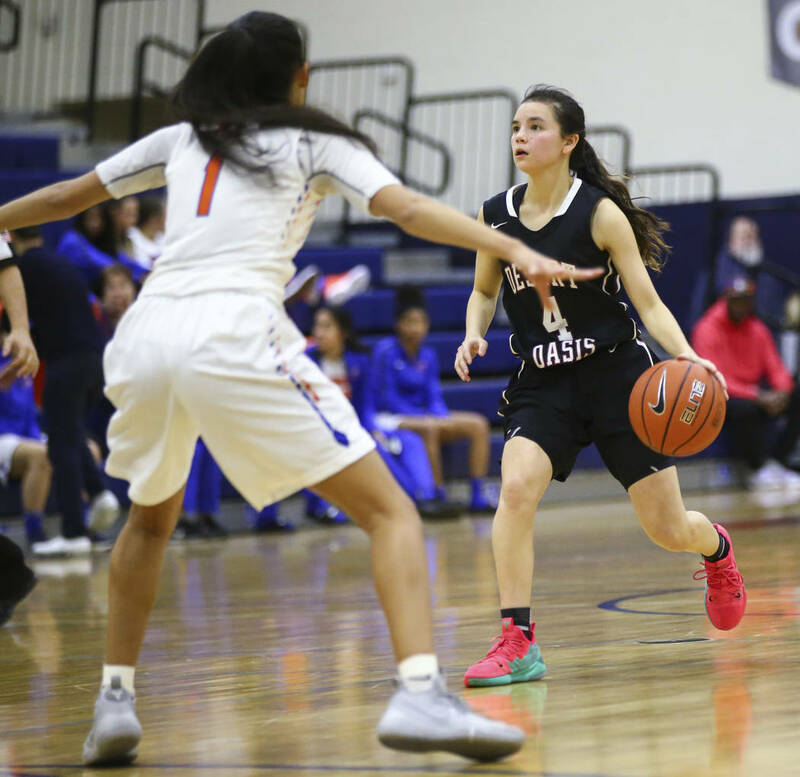 Young converted three layups, and the Gaels committed several fouls in the backcourt, allowing Desert Oasis to utilize the double bonus in the final six minutes. 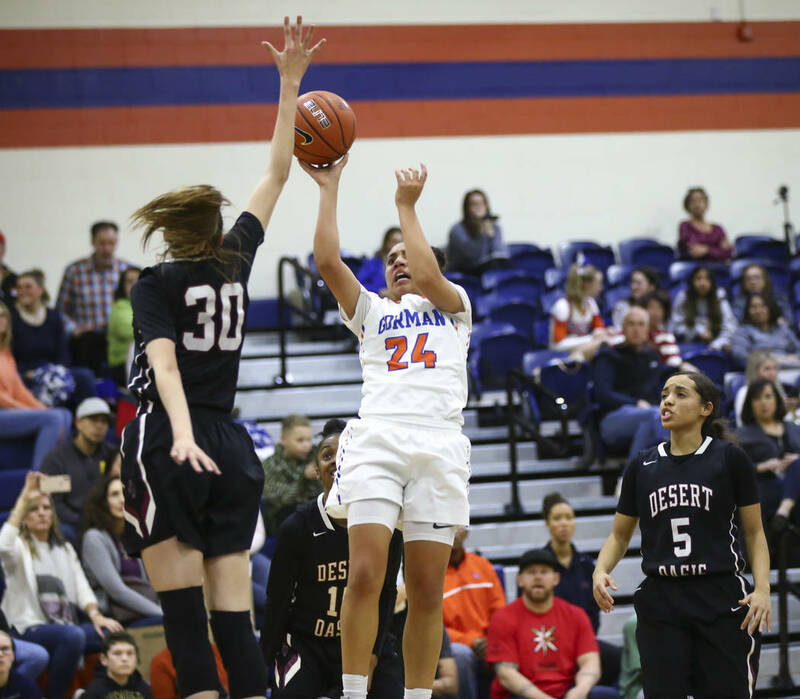 Senior guard Brianna Clark made three free throws to give the Diamondbacks the lead for good with 1:55 left. 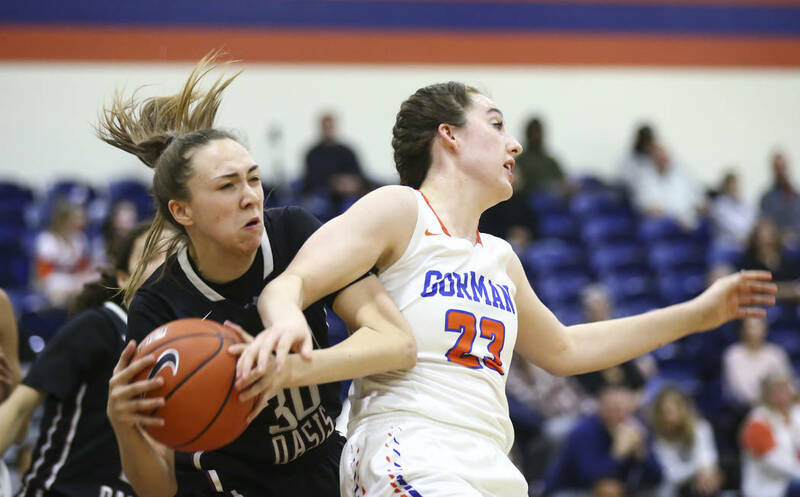 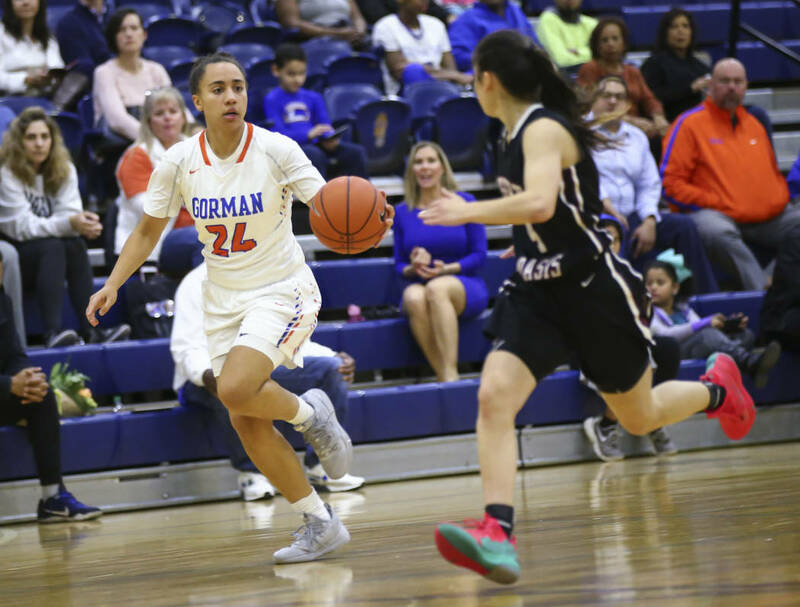 Gorman struggled to score down the stretch and missed a potential game-tying 3-pointer as time expired. 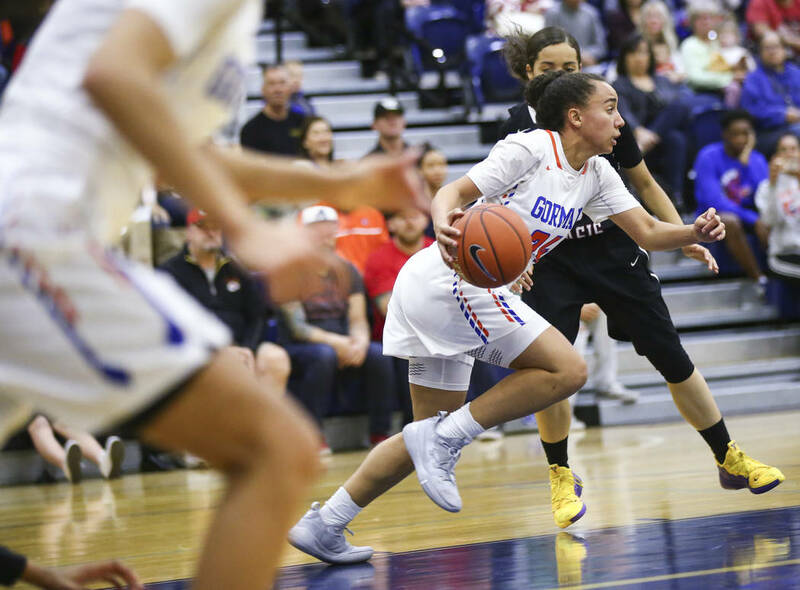 Caira Young scored 13 points to lead the Gaels, who hit 6 of 16 free-throw attempts.